Rich warm gold and bronze tones are mixed with splashes of silver on this Venetian bead brace;et, with an extra sparkle coming from the addition of Swarovski Crystals. Adjustable from 7 inches to 8 inches to allow for the perfect fit. 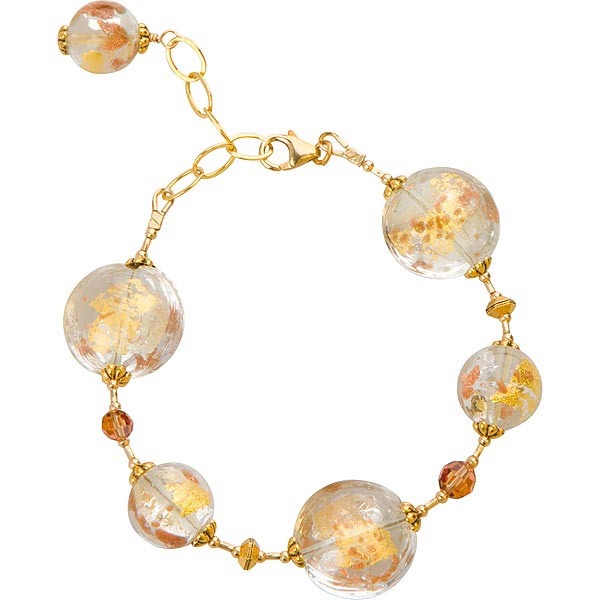 This bracelet features a mix of gold-filled and gold plated findings and a high quality Italian trigger clasp. Designed and manufactured in the U.S.